Organizing the photography and so much more! We know the burden and responsibility of carrying the ring. It’s not easy.. The secrecy of maintaining the element of surprise while dealing with everything involved. But we can help to make it work! All our sessions are candid real life proposals. Where we pre plan all the details ahead of time via email in order to maintain the best surprise effect. Leaving out a good portion of uncertainty from the equation. 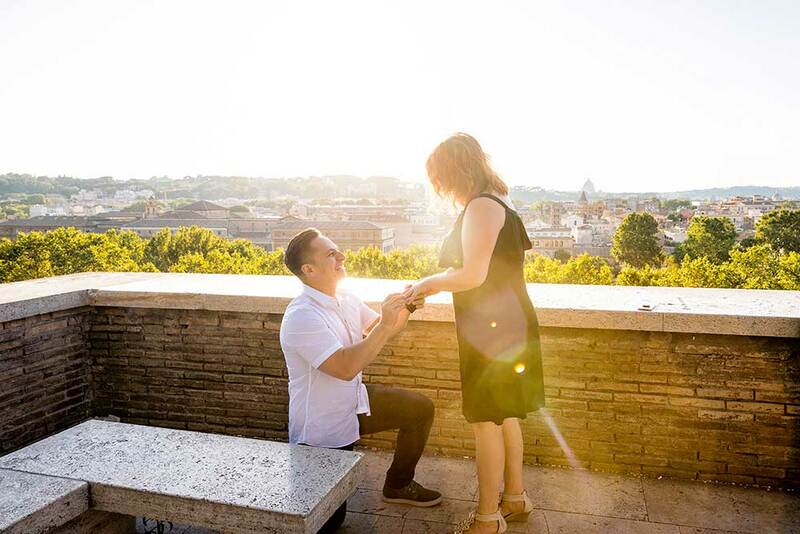 Meet with the proposal photographer in Rome discreetly and directly onsite at a pre determined spot. Where you will follow the photographer to the exact surprise wedding proposal location. From there on the photographer will be staying at a distance ready to snap whenever you are ready to propose. View our portfolio to see sample imagery. Please find below an Instant quote and Reservation form where you can estimate costs, feasibility and proceed with your booking. Such as props like vintage and modern vespa scooters. Red roses or sparkling wine to celebrate! 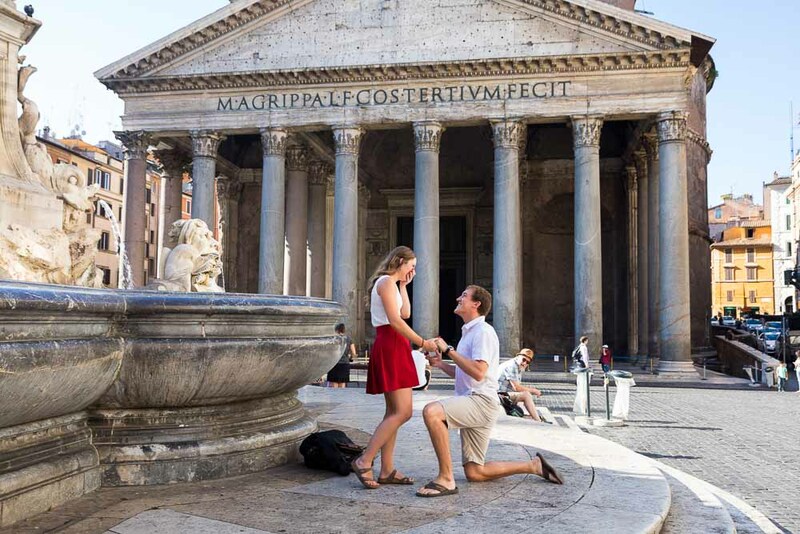 There are many locations in a city like Rome that offer a good background for a marriage proposal or a surprise wedding proposal. This can be a simple roman alleyway street or a major landmarks. 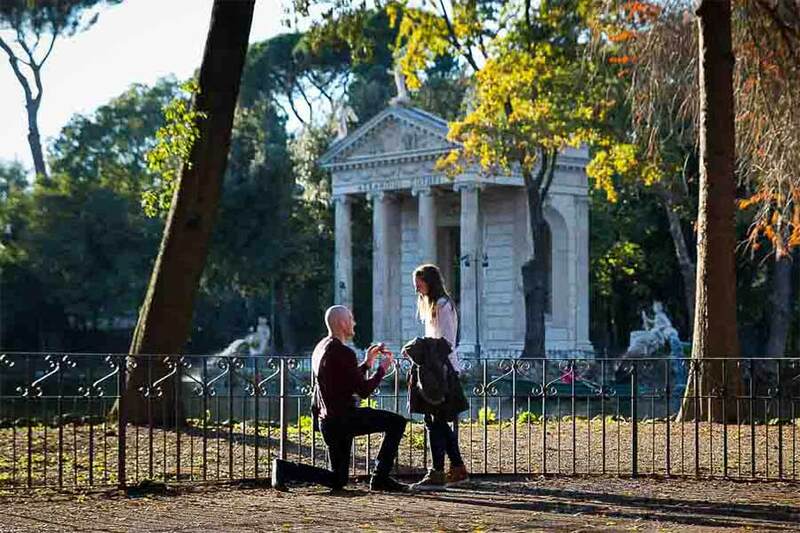 Please find below an image collection showing the best proposal spots in Rome where we have photographed surprise proposals before. Pass your mouse over the photo to view the location. Click the picture to see a larger frame and to read important picture comments and details from our expert photographers. 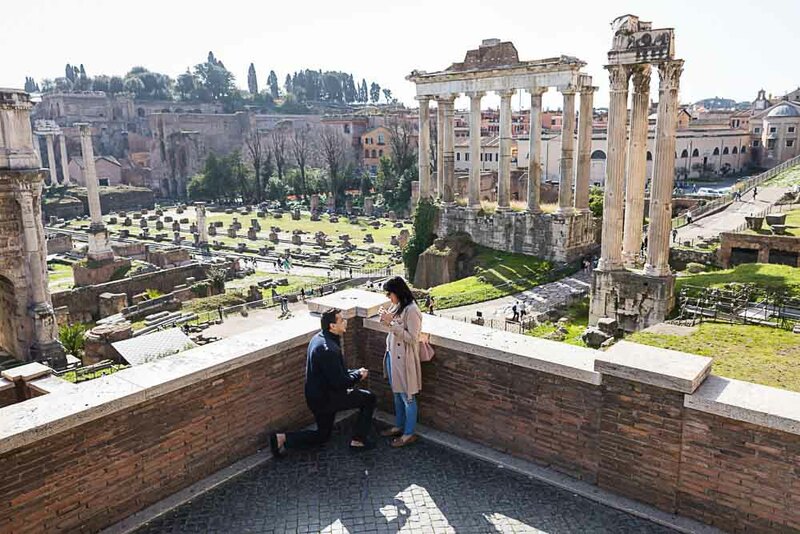 To see real life sample Proposal Photographer in Rome sessions check out the surprise wedding proposal section of the Blog. How will I meet with the photographer on the proposal day? 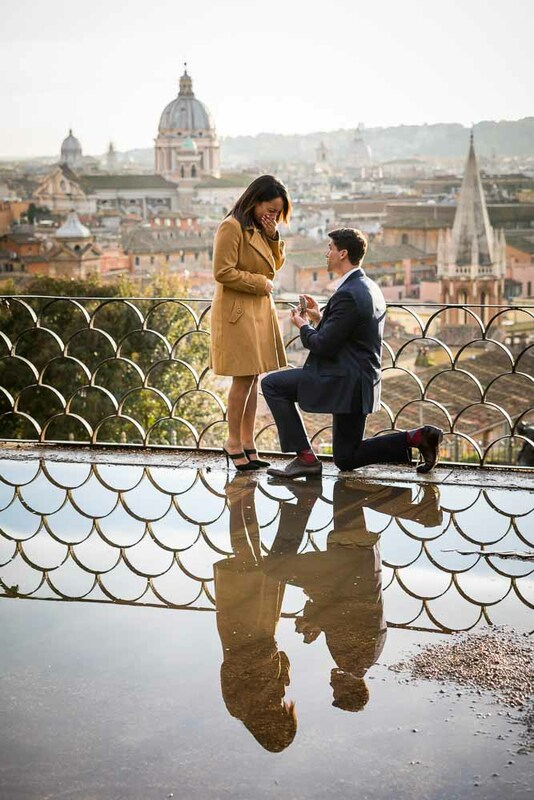 After pre planning all the details of the surprise wedding proposal, meeting with the proposal photographer in Rome will be easy. You will receive the precise meeting point via email. And at an agreed date/time you will find the photographer waiting for you there. After exchanging a silent symbol to make sure you have recognized each other. 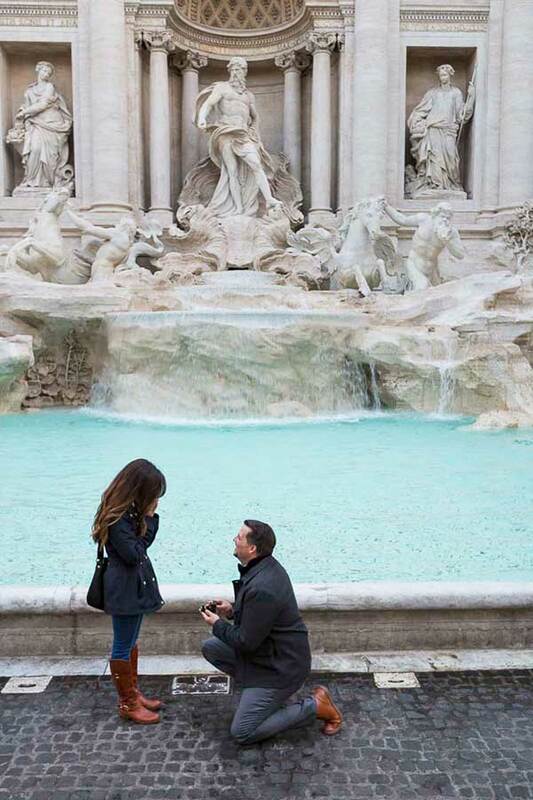 The photographer will lead you to the exact proposal location. Hopefully without your partner noticing anything! 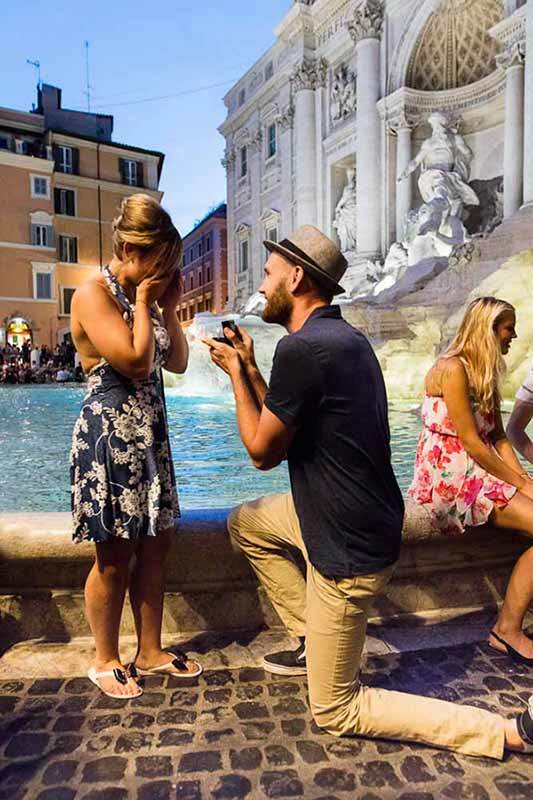 Can I get a few proposal pictures right away to share with friends and family? Yes. We have the 2 week Expedient Delivery which includes a delivery of 3 pictures within the same day of the proposal as raw files without post processing. And all the pictures delivery w/post production enhancement within 2 week’s time from the surprise wedding proposal photo session’s date. So please make sure to include this in the Instant quote above for a quick turnaround! Evening or daytime shoots for best picture quality? Daytime sessions produce images that are more clearly visible in terms of expressions and details. 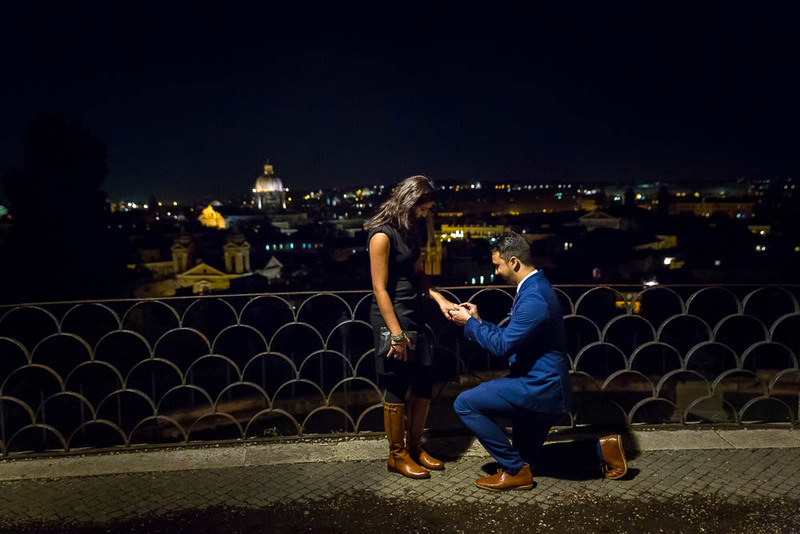 As there is enough light to zoom in or out of the frame or to freely choose the proposal spot. Evening sessions are harder to pull off due to the progressive lowering of the light. And the impossibility of using a flash as it would give the surprise effect away. However you can achieve more artistic pictures with more contrast and intense colors especially at sunset/dusk. You are also often confined to setting the proposal location next to available street light with all the uncertainties that this may produce. In the end daytime sessions are safer and produce a higher picture count with more visible details. 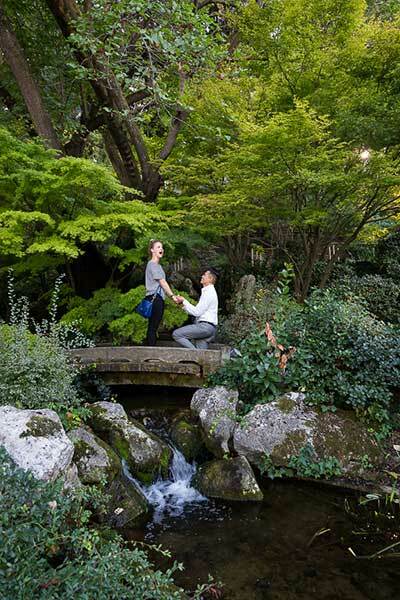 Evening sessions are riskier but potentially more rewarding in terms of picture quality if you are going for a more artistic approach to your surprise wedding proposal. When and How many pictures will I receive? How Many? As many pictures as we shoot. Screening out doubles, almost identical, unwanted out of focus, badly framed, bad body positions, excessively underexposed or overexposed, unwanted eyes closed. Conditions permitting, for a daytime session you may expect minimum of 60 pictures an hour digitally delivered with post production processing. Evening session produce less images as they are more time consuming to shoot due to the lower light conditions. Perhaps 40 pictures and hour. When? As late as 2 months. On average in 1 month. For a 2 week or earlier turn around time make sure to include the Expedient delivery option during booking which will also include receiving on the same day 3-5 pictures chosen from the back of the camera. Rain is a natural occurrence that may very well ruin a surprise wedding proposal. Or at least the idea of it that we have in our heads. It could also make it most romantic depending on the point of view! In any case if you wish to avoid a rainy day we will try to do all we can to reschedule to a mutually agreeable date/time. We do kindly ask you to communicate this to us at least 3 hrs before the photo shoot starting time. If the surprise wedding proposal session cannot be rescheduled to a mutually agreeable date/time we believe in granting full refund. All these details and more are contained the terms and conditions at the end of the above booking form above. For the 30% advance payment at the moment of booking we accept credit card payments via PayPal and Stripe. For the Balance we accept Euro cash. Should you wish to opt to pay the balance again by credit card via PayPal a 6% studio payment transfer fee is applied. This latter payment option is not available on site but can be done at a later time and before image image delivery. Nighttime (defined as 1 hr after sunset) and early morning (defined as before sunrise) are subject to +20% overnight work on the photography and/or video session time, the car service and the musicians. It is not applied to the Post Processing options except the Expedient Image Delivery if chosen. Sunset and sunrise times change during the year and are also subject to Daylight Saving Time. Booking sessions also on Festivities such as Christmas, New Years, Easter, August 15th Ferragosto etc are also subject to +20% charge. The booking system will not be able to take this charge into account at the moment of booking, but will be added on at the moment of confirmation if applicable and if the session is feasible. Do you work in any other part of Italy? 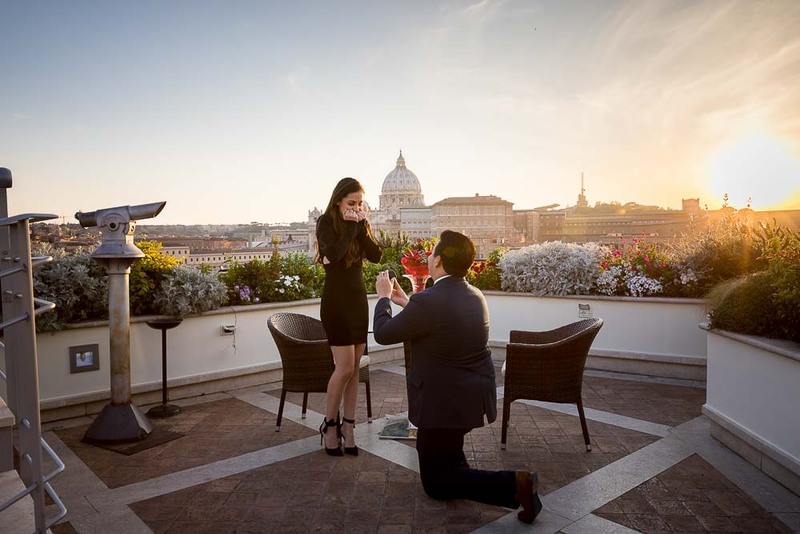 Yes we can organize an Amalfi coast surprise wedding proposal, where you can also follow up with a couple photo session as per our Amalfi photoshoot. 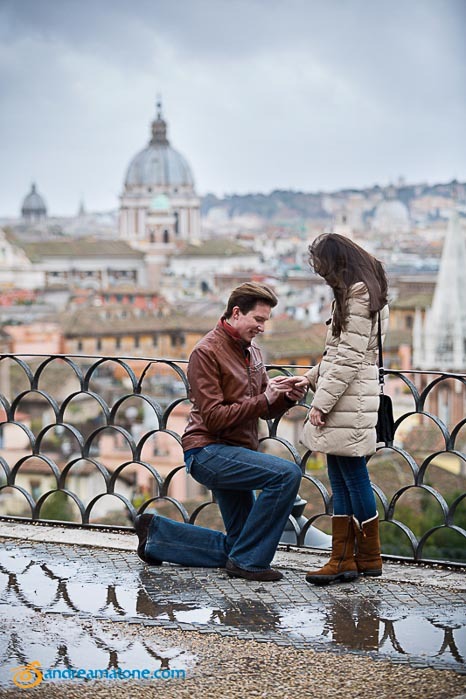 Proposal sessions can be set up in the Tuscany rural towns and countryside: Tuscany photoshoot. As well as in Venice where couple photo sessions are also available: Venice photoshoot. 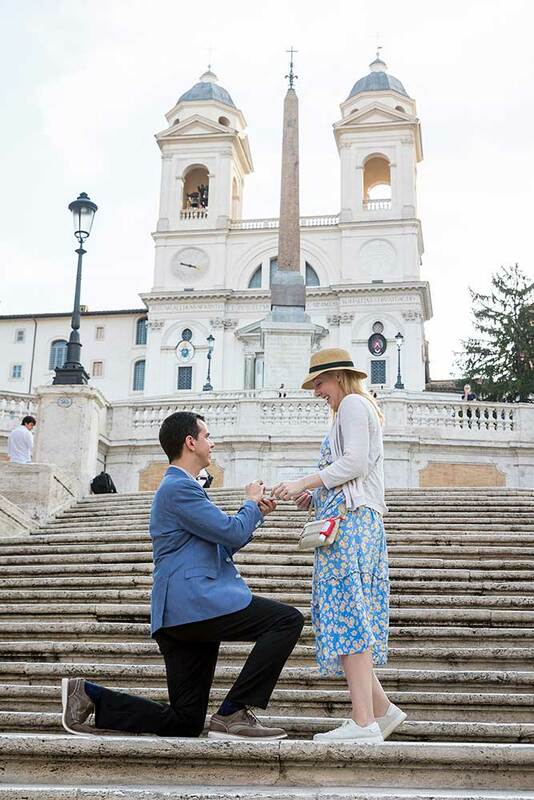 A great place to also set up a unique and romantic Venice proposal. “Andrea is personable, punctual, and incredibly talented. Amazing experience! We are very pleased with the photographs taken by Andrea. The Roman Colosseum. 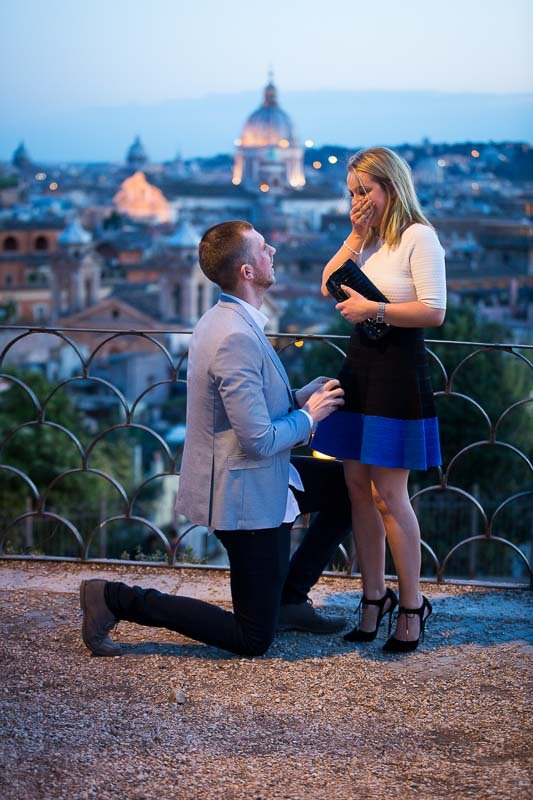 Surprise wedding proposal photographer in Rome Italy. 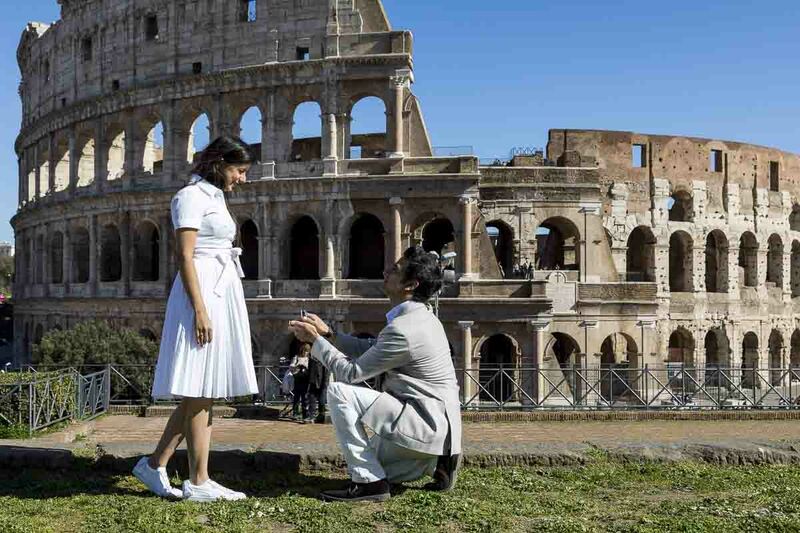 Custom Plan your Rome Proposal TodayTELL US ABOUT IT! Full location support. 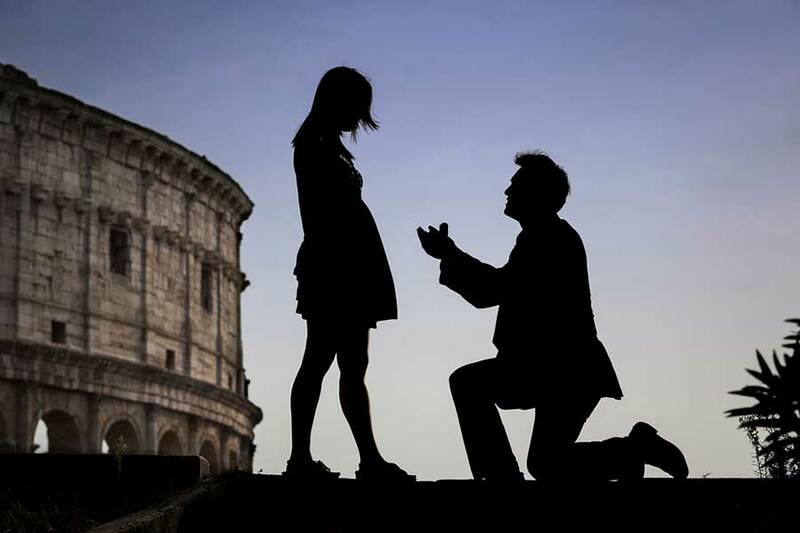 We know the city well and can guide you in picking the right location for your surprise wedding proposal. Knowing all the pros and the cons associated to the different places. Choose from a wide array of options. Ranging from the most beautiful and well known locations. To the most intimate alleyway that no one knows about. Ready when you are. A few days before the surprise wedding proposal we’ll be on the look out for the weather report for any sign or rain. With a back up plan in the drawer just in case. Ready to reschedule or relocate. Available with quick turnaround. 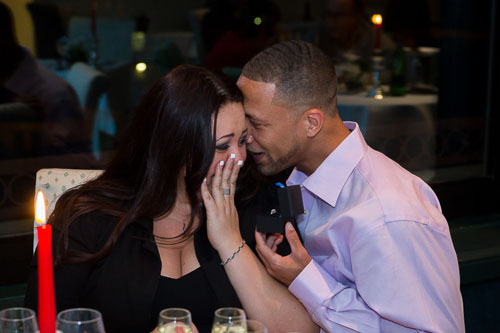 Our proposal photographers are reachable online through instant messaging for any last minute updates. Let’s make it happen. Rain or shine! 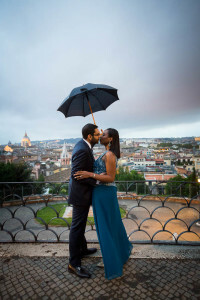 Continue on the Rome photoshoot with a couple engagement session. 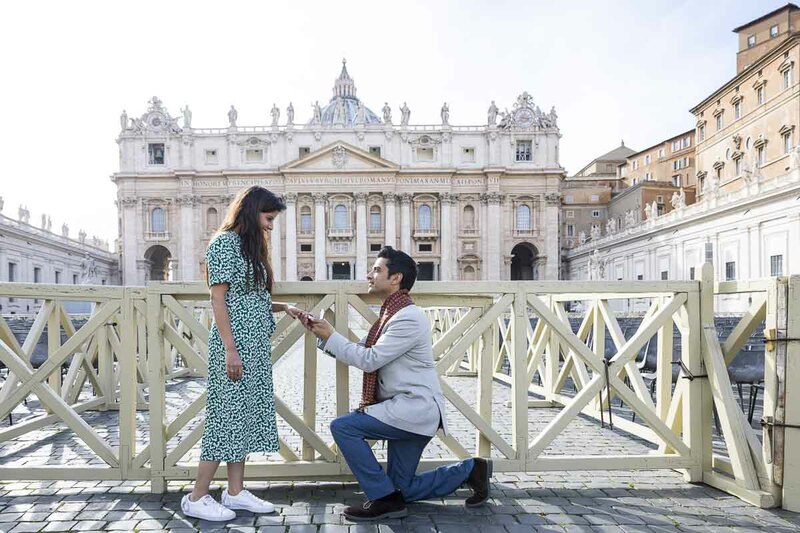 Starting from the proposal location. By foot or with the help of a car service with driver. Visit all the best spots guided by a professional photographer. And bring home unique, romantic and creative engagement pictures of your Rome proposal. 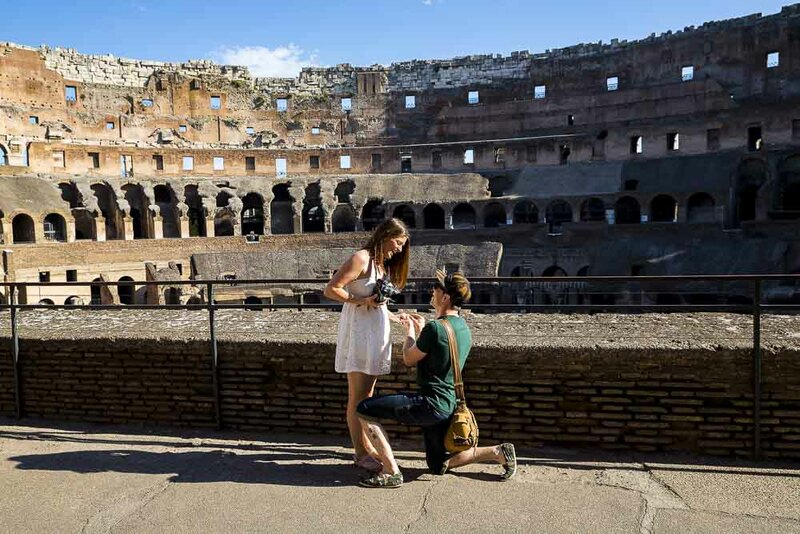 Great local tips to celebrate this special roman occasion. 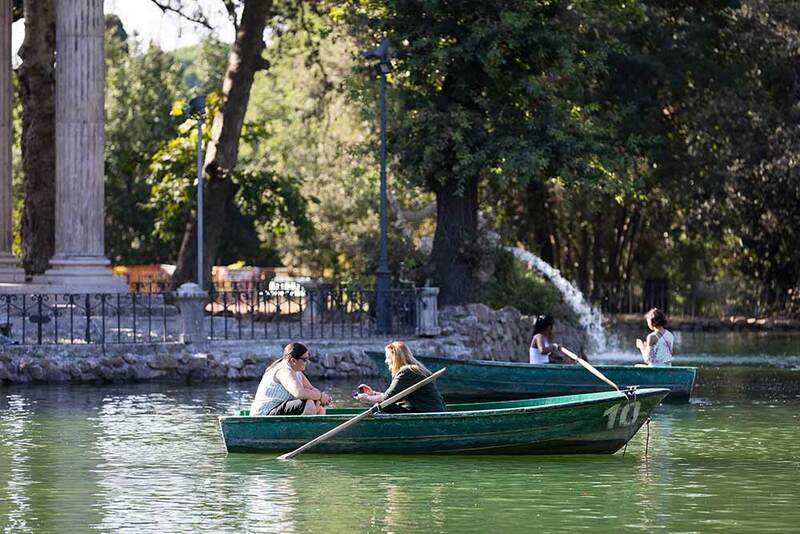 From a typical local taverna or pizzeria to a beautiful terrace view restaurant overlooking the sweeping roman skyline. We’ll try to be updated on local events or happenings that might be interesting to include in the photography session. 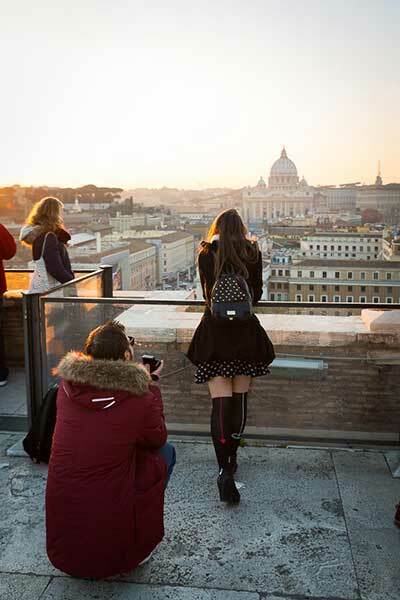 Connecting travelers with a true local photographic experience of Rome.